Winter is simply the best time to read. I mean, I love stretching out on a deck chair on a sunny June day with a book, but there are lots of other things I love in June, too… picking berries, swimming, planting things that probably won’t grow, going on long walks at sunrise, washing stuff…I really like June. But if I’m next to a roaring fire on a cold December day, my hands are aching to have a book in them. All is wrong with the world if I’m without something to read in wintertime. Lucky for you, I started my winter reading early this year! I’ve read a little bit of everything lately, and so I’m putting together a little guide for what to pick up this winter, gathered from several different genres. This is my favorite book of 2016. It combines adventure with history in a completely new way, and is one of those books that is so interesting and well written, it will appeal to men and women of any age. Set in the frontier of Alaska at the end of the 19th century, this novel is based on the real historical figures of Colonel Allen Forrester and his wife Sophie. Colonel Forrester is given the task of mapping an unexplored area of Alaska, and the fictionalized accounts of his trip with his small group of men are enthralling and make me want to know much more than I do about Alaskan history and all the mysticism explorers encountered. While Colonel Forrester is away, Sophie pursues her own love of nature through the newly invented camera. I found both of their narratives to be equally absorbing. This is the kind of book that you put down and you can’t wait to pick up again, and when it’s over you long to start another one just like it. I haven’t read Ivey’s first novel The Snow Child, but it is on the bedside table stack and will surely be one of my Winter 2016 reads. If you like historical fiction about women in the 1800s, this book is your cup of tea. It follows the life of the title character Amy Snow, who was found as an abandoned newborn by a young heiress and raised in a confusing and unconventional way. 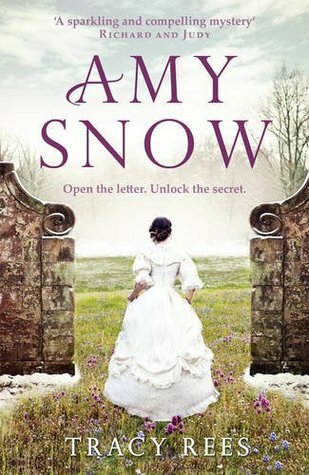 After the heiress dies at a very young age, Amy must follow a trail left for her to discover the truth about who she is and who her benefactress was, as well. I would say that Jane Eyre heavily influenced Tracy Rees; Amy’s character is very similar in tone and personality to Jane. This is the winter equivalent to a light, well-written beach read, with a huge plus that it is fairly clean/non-smutty, though it deals with some adult themes. As a fan of Fixer Upper, I knew I would be reading this as soon as I heard they were releasing it. I tried to go into it with low expectations…after all, they’re TV personalities, not writers. I was pleasantly surprised, though, because what I found in the pages of The Magnolia Story was not a story about TV personalities…it was a story about real people, with real faith and normal struggles. Sometimes it seems like a memoir has to feature a tragedy to get published, but this one was hopeful and inspiring. I garnered some real perspective on thriving when you’re not in the middle of what you would consider success, and on building a strong marriage by sticking close together in life, pursuing similar dreams. 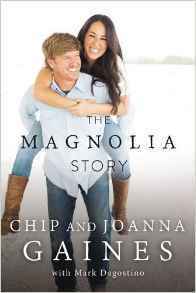 As a book, it’s not a Pulitzer Prize winner or anything, but a tiny taste of what it would be like to sit around a dinner table for a few hours with Chip and Joanna Gaines and laugh and talk with them about life. The sequel to Girl Waits With A Gun does not disappoint. Constance Kopp is back as one of the first lady cops in America. 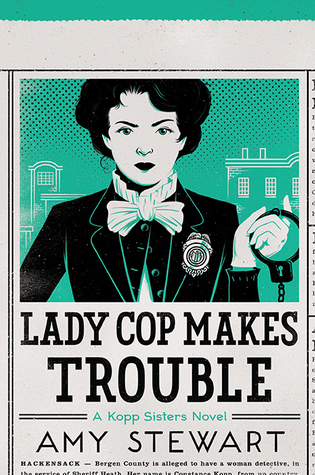 She is trying to work her way into the well-deserved role of deputy sheriff, but a German con-man is besting her and everyone else on the police force. Just as I did in the first installment of The Kopps Sisters series, I thoroughly enjoyed the history and real-life people woven into this page-turner. Amy Stewart always features a plot-line straight from the newspapers of the early 1900s. Definitely start with the first book, but don’t wait too long to get into this series if you’re a fan of Maisie Dobbs or historical crime fiction in general. On a clean-read note, this is a very non-graphic crime novel, for those of you concerned with being able to sleep at night (that would be me). I’m slowly and carefully soaking up the words of this book on chilly Autumn mornings before my children wake up. 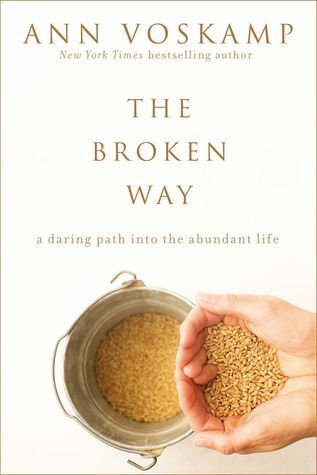 So far, it is everything you would expect from Ann Voskamp – a constant fluctuation between despair and bright hope, earthly circumstances and heavenly perspective, fear and awe-inspiring love. I would venture to predict that this second book of Voskamp’s won’t be the raging success her first one was, mostly because it isn’t as much of a self-help book on finding joy. Joy is still a theme, yes, but Voskamp is exploring a tougher path this time to true, complete joy in giving. This one isn’t going to get you keeping a list of things to be grateful for. It will get you thinking more on what’s been given up for you and how you can give more up for others. As I keep on reading it, I’ll give a fuller review. I’ve read enough to say you should definitely join me in reading it! Nothing new to report here, but I’d strongly recommend Robin McKinley’s The Blue Sword and many of her other books. Clearly, I need some recommendations in this genre. Those are my top picks for Winter reads in 2016! Tell me what yours are, pretty please? I’m always looking for a good book this time of year. And if you’d like to follow me on goodreads.com, here’s the link to do that. It’s so fun to be Goodreads Friends and see one another’s reviews about all sorts of books, and I guarantee you’ll find a plethora of good reads. It’s better than Pinterest for book lovers (and maybe more dangerously time consuming…but check it out anyway!). Happy Reading! Ooooh, I have never heard of Bright Edge of the World, Mia! Your descriptors got me sold! I hope to get to it soon! I am re-reading One Thousand Gifts by Voscamp right now for my book club. I loved it the first time around and am hoping it’ll bring up some good conversation for the book club. I agree wholeheartedly with your review of The Magnolia Story. I loved how genuine they were and also how much they pointed towards God and His hand at work in their story. It was funny, heartwarming, and inspiring. I was really impressed! Oh, I love The Blue Sword! I almost read it this week when I was supposed to be doing other work. Some of my other favorites are Finnikin of the Rock by Melina Marchetta, Fire by Kristin Cashore, Dealing with Dragons by Patricia Wrede, and The Rithmatist by Brandon Sanderson. Have you ready any of those? Maybe that will help in the YA Fantasy slot. 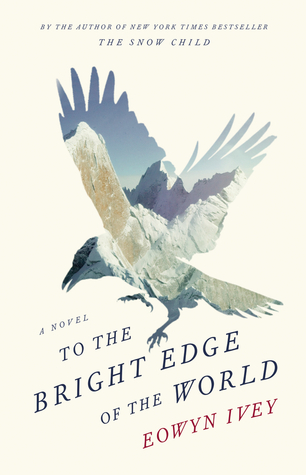 To the Bright Edge of the World had me at its cover. But then you mentioned Alaska and I was sold. The description sounds a bit like Angle of Repose, which is a favorite. Thanks for the introduction!